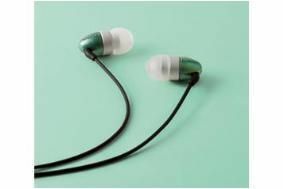 Grado launches flagship GR10 in-ear headphones | What Hi-Fi? In creating the GR10, the company says it has developed "a higher level of engineering precision and new materials" to its proprietary single armature headphone driver design. The design aim was to lower distortion and extend the frequency reponse at both ends of the audio spectrum. Grado says the GR10's "small, ergonomic shape" allows it to nestle comfortably within the ear canal, providing a good seal for better bass and reduced noise penetration. Tony Jones, product manager for Grado at UK distributor Armour Home, adds: "Grado's primary goals is always to produce headphones which will be faithful to the music and provide listeners with a truly enjoyable sonic experience."